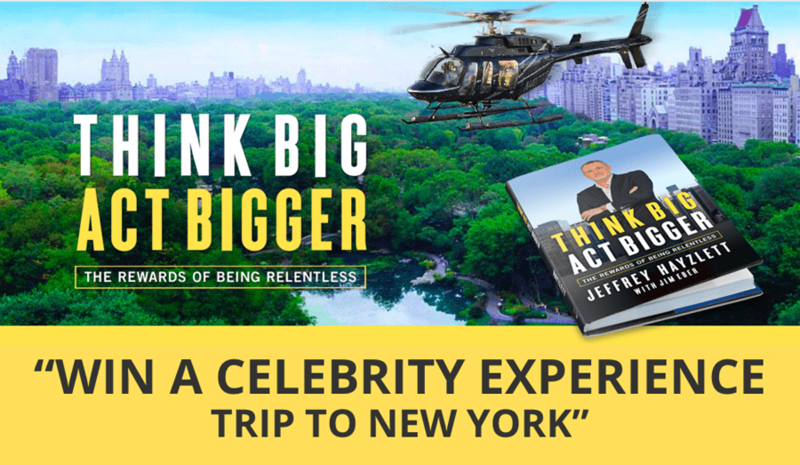 Jeffery Hayzlett is a great guy with a personality and mindset to match the title of his new book, Think Big Act Bigger: The Rewards of Being Relentless. To wit, he’s giving away a free VIP trip to NY and other prizes to celebrate the publication. What does “VIP” mean? For starters, how about two first class plane tickets, luxury hotel, a Broadway show, helicopter, and limo? See what I mean? Think big; act bigger. 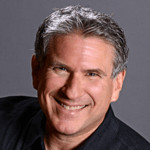 Published by Entrepreneur on September 15th, Think Big is all about taking action and owning who you are to reach the highest levels of success. 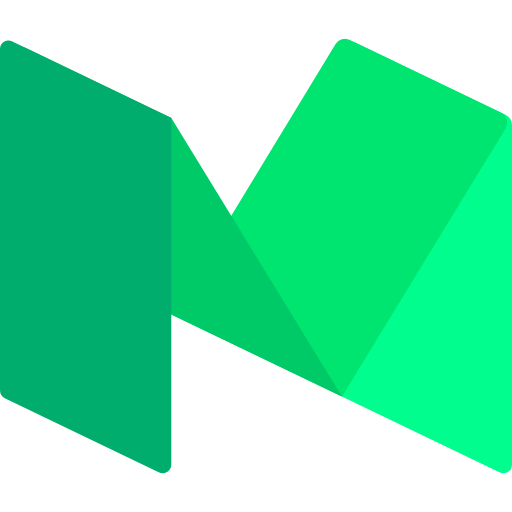 Hayzlett has aligned a powerful collection of book tour sponsors to give away that grand prize VIP trip to New York City and many other product giveaways throughout the launch of the book. So, click here to sign up for a chance to win the VIP trip to NY and many other prizes. It could be your reward for being relentless. By the way, if you share this contest with your friends, you’ll receive a 40% off DISCOUNT CODE for your own copy of Think Big, Act Bigger. Just enter the contest and/or share on your networks from this page. There’s an additional bonus on the site. You can download the entire first chapter for free! It’s a good read thus far (haven’t quite finished yet and intend to). Grazie Celeste. I pantaloni Chino e gli Hampton sono tra i capi pif9 vsirateli della collezione di Banana Republic, proposti nei colori pif9 primaverili per la nuova stagione. Potrai abbinarli con tutto, dalle sneaker al tacco 12…saranno il tuo passe par tout provati e consigliati!